What Does Loam Mean to a Gardener? New gardeners are taught that friable, loamy soil is great for their garden because it retains water, but drains easily. While gardening does not require an advanced degree, some terms, like moist well-draining soil and even loam, can leave you scratching your head. We all know you need great soil to grow great plants, but what is this magical loamy soil so many gardening books say you should aim for? Every gardener quickly learns that good soil is vital for a healthy, productive garden. 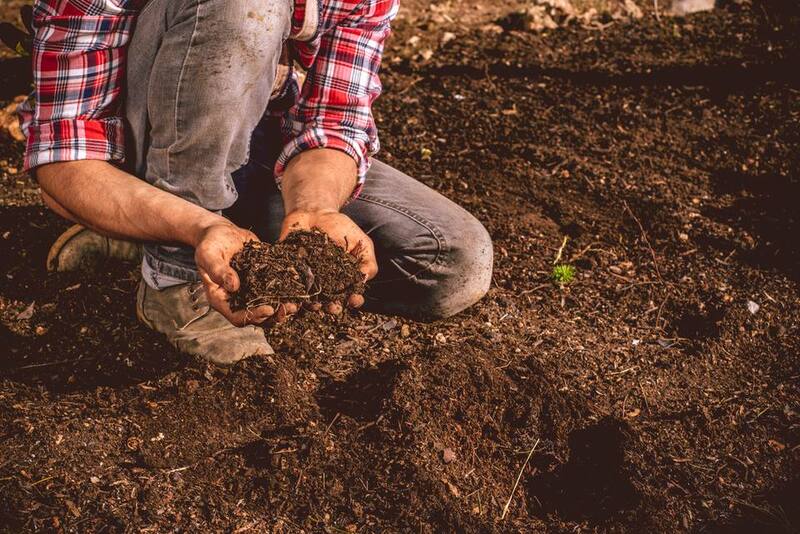 Good soil means the soil has the right nutrients for feeding the plants and a texture that holds water long enough for plant roots to access it, but well-draining enough that the roots are not sitting in water. Without good soil, your plants will struggle to survive and you will be constantly feeding and watering them, to compensate for the poor soil. Improving your garden soil is not a quick job, but it will pay you back with multiple benefits. The best soil texture for growing plants is what is called "loam". However, if we had to measure that ratio out every time we made a garden, there would be far fewer gardens. Basically, loam is a soil comprised of almost equal amounts of sand and silt and a little less clay. Of the three components, sand particles are the largest. Sand does not hold onto moisture, but it provides good aeration and drainage. On the opposite end, clay particles are much smaller and easily compact. That makes clay a great material for building bricks, but not so great for allowing water, air, and plant roots through. However, clay tends to be higher in nutrients than the other soil components. Silt is the medium size particle, with better moisture retention than sand, but fewer nutrients than clay. Silt helps clay and sand mix together more readily, like tempering chocolate. Because of the balance of ingredients, loam is the ideal garden soil. Its texture is porous, allowing water to flow through slowly enough for the plants to access it, but fast enough to avoid waterlogged, soggy soil. Loam is loose and crumbly in our hand. This is referred to as friable. Loose soil provides room for air to mix into the soil, which is also necessary for optimal plant grow. Loam is also nutrient rich. Although loam is a combination of sand, silt, and clay, adding sand to your clay soil, or vice versa, will not create loam. Doing so will result in something like cement. Creating a loose, loamy, fertile soil is not a once and done garden task. Turning your existing soil into loam is an ongoing process that involves working organic matter into the soil every year. It is the decomposing organic material that creates the well-draining conditions plants need. It is also the organic matter that attracts the beneficial organisms that will help keep the soil healthy and alive. Unfortunately, organic matter is quickly depleted as it decomposes. It will need to be amended each season. How much to add depends on how out of balance your soil is. If your soil is extremely sandy or predominantly heavy clay, it may need large amounts of organic matter added several times a season. However, for most soils, laying down at least a two-inch layer of organic matter over the garden surface and and then working it into the top few inches of soil should do it. A word of caution: Buying soil in bulk can be a fast, easy way to get your garden or yard up and growing, but there is no standard or certification for soil quality, so you never know what you are getting. Many companies that sell soil are getting that soil from construction sites, where soil has had to be excavated for basements or to level a yard. Generally, soil from excavation does not make ideal garden soil. If you intend to buy soil, compost, mulch or other bulk garden material, know something about the company you are buying from. Don't be afraid to ask questions. Bringing in poor soil will not make your garden better and could actually set you back in your quest for great soil. However, there are many excellent soil companies who stand behind their product. Should You Use Wood Ash in the Garden?